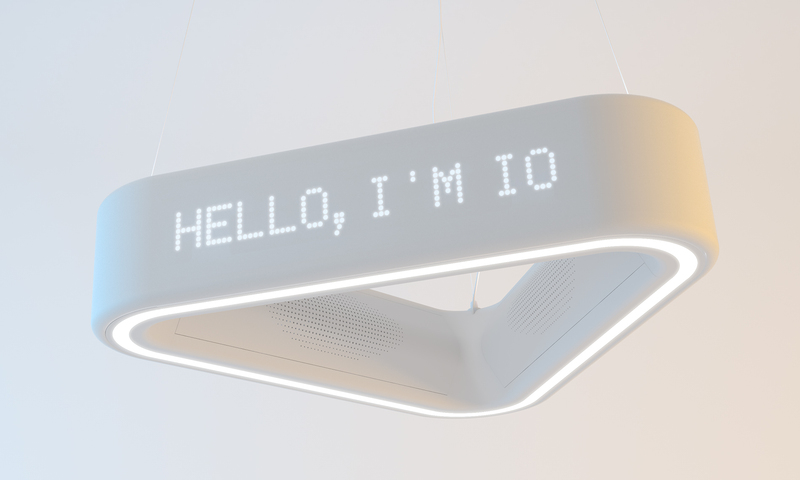 IO is more than a lamp. 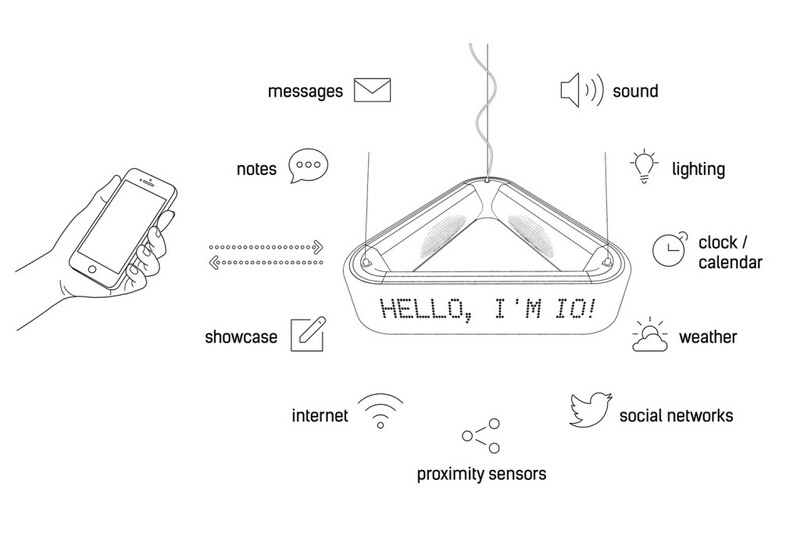 IO is an interactive device. It provides information about a temperature, weather, date & time. 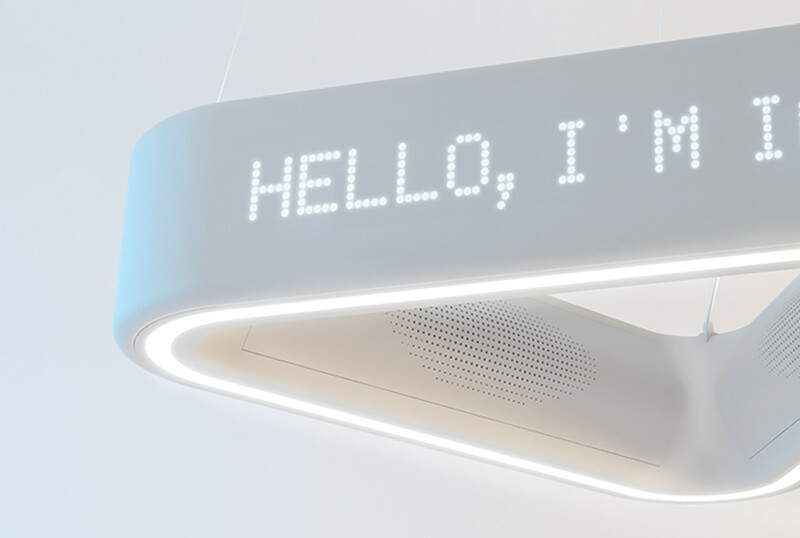 You can communicate with your family or friends by sending messages to IO display. You can listen music, thanks to integrated wireless speakers. You can control lighting effects along its outer perimeter, which change according to the sound rhythm. 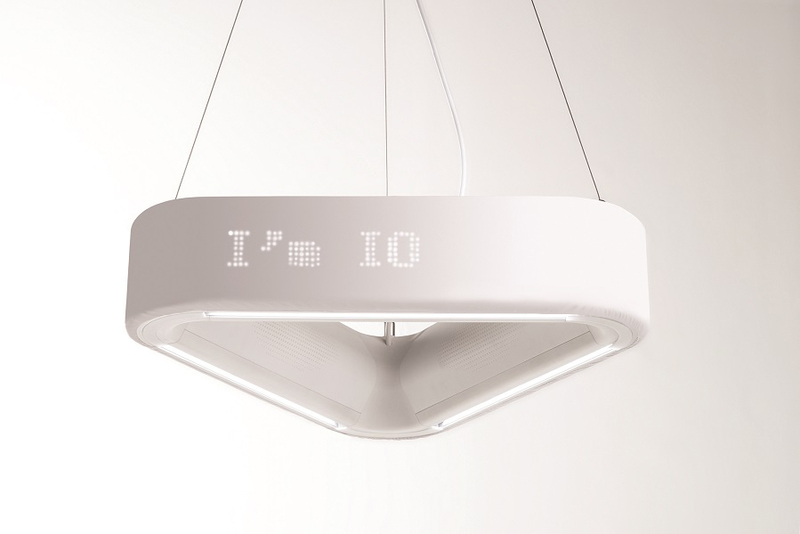 IO LAMP is a winning project of the Next Design Innovation competition, organized and developed by Regione Lombardia together with the Department of Design of Politecnico di Milano and coordinated by his makerspace Polifactory.